Instead of writing about all the fun stuff you missed the details of this conference, I thought I'd break it down for you, Sesame Street style. Apprehension. When it comes to blog conferences, I get this big-time. But at Bloggy Boot Camp? I have none. Probably because I'm a veteran now. Bed. As in sleep number bed at the Raddisson Hotel. Ahhhh....heaven! Cousins. I was so excited to be able to meet up with my lovely, young and fun cousins, Katie and Meghan, while in Philadelphia. There was a LOT of laughter. Danielle. I am so thankful that I got to sit next to Danielle at lunch. I had a total misconception about FitFluential and its ambassador program. Yes, I am a runner, but no, I am not a hard-core marathon-runner who devotes my entire blog to the subject. I am a full-time working mom with 3 children who enjoys running for my physical and mental health when I am able to squeeze in the time! So I am so happy to know that FitFluential is actually looking for moms like me! Erica. 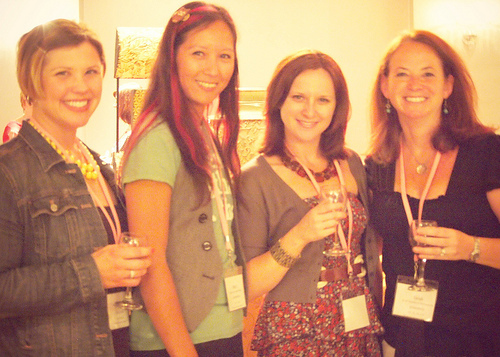 I think Erica and I first met at the inaugural Bloggy Boot Camp in Baltimore and then again in Boston. I love this girl. She and Tina threw a great cocktail party on Friday night to welcome us to Philly! Fran is one of the SITS girls and is an absolute doll! Always smiling, cool under pressure, and so cute. Love. George Washington Bridge. Yeah, we were instructed (by both husbands) to not go that way from Boston to Philly. But we did. And got stuck on this bridge for over an hour. Blech. Heather. Heather was an awesome co-pilot, supplying me with food and conversation the entire road trip. And as a roommate, she didn't even complain when I snored or farted. Which I'm sure I did. Informative. My goal when I attend a blog conference is to try to not be overwhelmed by information overload. I think Bloggy Boot Camp does a great job in emphasizing that you certainly don't have to do it all. Pick something you learned, even if it's just one thing, and apply it. Jill. 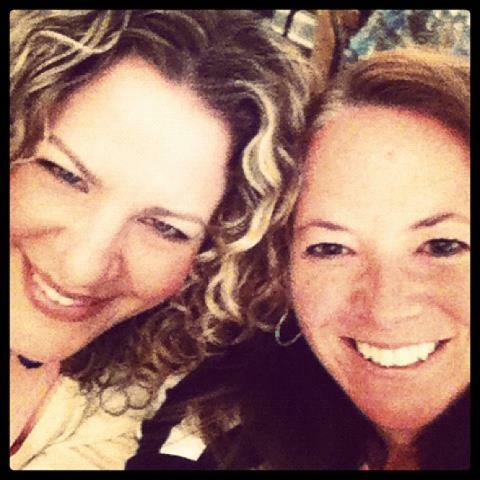 Whenever Jill and I get together, we laugh. We snark. We complain. We confirm the fact that yes indeed, we are old blog friends. And she? Has a huDge heart. Please consider donating what you can to Scary Mommy Nation to help feed children this summer. King's Hawaiian. The lunch sponsor at this Bloggy Boot Camp, their bread pudding recipe was uh-may-zing. I needed a moment. Mirassou. This wine company is one of Bloggy Boot Camp's sponsors. 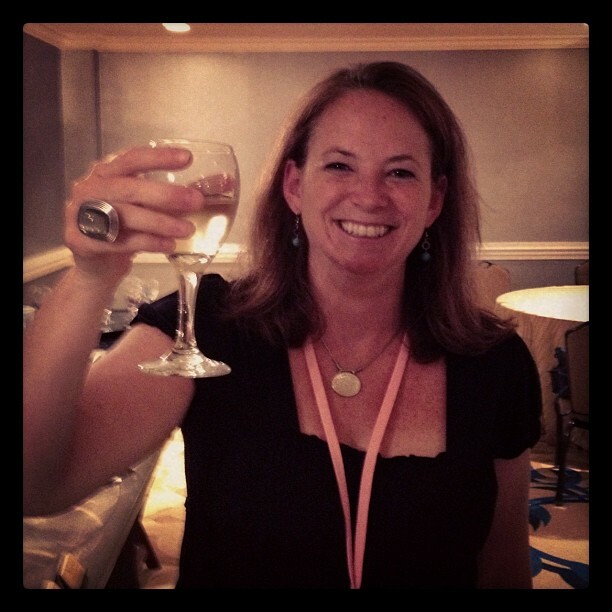 (Who doesn't love a conference with a WINE SPONSOR?) And this weekend at Bloggy Boot Camp? I learned that MOSCATO is a white, not a red! Who knew?! Yay I made it onto your blog, woohoo! So happy to hang out with you and sit next to you at lunch! :) Thanks for supporting GLO!